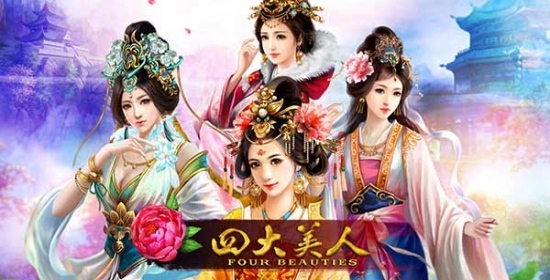 Get three or more Scatter Jewelry boxes any where on the reels to trigger the Immortal Beauties free spins. You will get to select one of three beauties that each come with their own features. 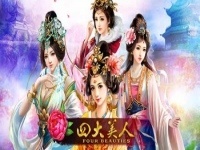 The first is 15 free spins with a that beauty covering the entire first reel; second is 10 free spins with a random expanding wild; the third is 20 free spins!Wilds The wild symbol has the word `wild` written across it and will substitute for all symbols except the scatter and bonus symbols to complete winning combinations when possible.Sedan Chair Bonus Game Land three or more Sedan Chair symbols anywhere on the reels to trigger the bonus game. Select Sedan Chairs to reveal instant prizes.Sound of Heaven Instant Win If you get the Beauty in the red gown and the liuqin side by side, it will trigger the Sound of Heave instant win bonus prize where your total bet is doubled!Click Me Instant Win When the white dressed beauty appears on reel 3 and the koi fish appears on reels 1, 2, 4 and 5 forming a straight line, you will trigger the instant win Click Me feature. Choose one of the 4 koi fish symbols to reveal your prize. Rocking Robin - Free Spins 20 Line Slot from Online Gaming Systems. Wishing Well - Bonus Feature 20 Line Slot from Online Gaming Systems. Doctor Love - Free Spins 20 Line Slot from Online Gaming Systems. Monkey King - Bonus Feature 30 Line Slot Machine. Lucky Tiger - Bonus Feature 100 Line Slot Machine. Golden Lotus - Bonus Feature 25 Line Slot Machine.